A behind the scenes look into the working life of a Mirage Parties party planner. Part One of our Meet the Party Planners blog post saw us speaking with company directors Julia and Christian Marryat. In this second instalment we meet party planner Alex as he shares his party ideas and event planning experience. 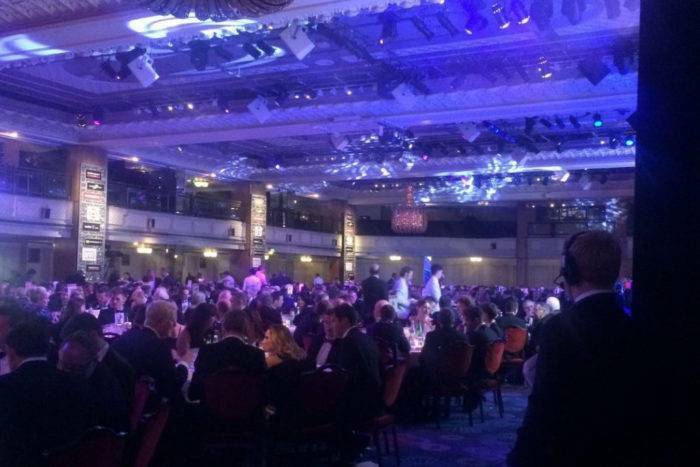 Alex (right hand side of photo in headset) keeping a close eye on the smooth running order of events in The Great Room at the Grosvenor House Hotel. Q. What attracted you to the party and event planning industry? A. I’ve wanted to be an event organiser from an early age. As a young teenager, visiting the London Boat Show, I was intrigued by the intricacies behind such large scale and glamorous events. Understanding and being involved with the technical production and planning appealed to me. Q. What’s the best thing about being a party planner and what’s been your favourite moment? A. Seeing all the hard work and planning come to fruition. When everything is organised and ready, after discussing and planning an event for months or a year in advance. We’re a hands on in-house team; we’ll be rigging a venue, hanging drapes, assembling props, arranging furniture and covering sofas, getting all the details ready. Then, when you get to stand back, it’s at that moment when you see how it’s all come together. It’s an incredible feeling. Q. Most favourite Mirage parties? A. 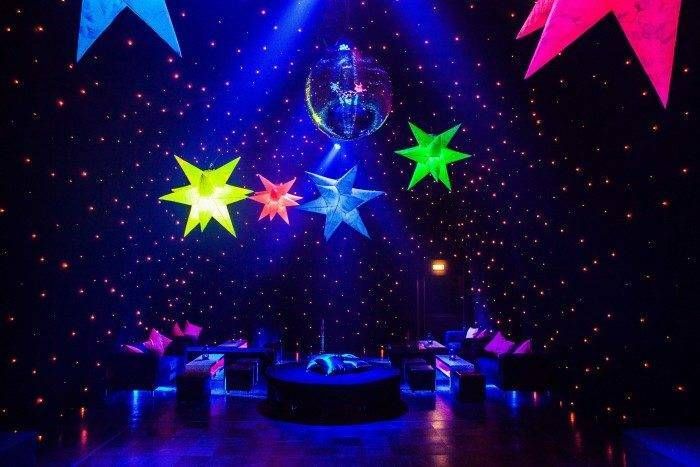 The Outer Space themed party for a client’s 16th birthday party in the west end of London. There was a tremendous WOW factor when you walked in room. And the inflatable UV stars looked spectacular. I love presenting new ideas and a totally bespoke event design for clients. And the Colourful London Wedding because of the creative and different styling, the props and furniture, and the colour pallet. The event had multiple different styled spaces which looked stunning. From the London themed tea reception, to the Mediterranean themed ceremony room. 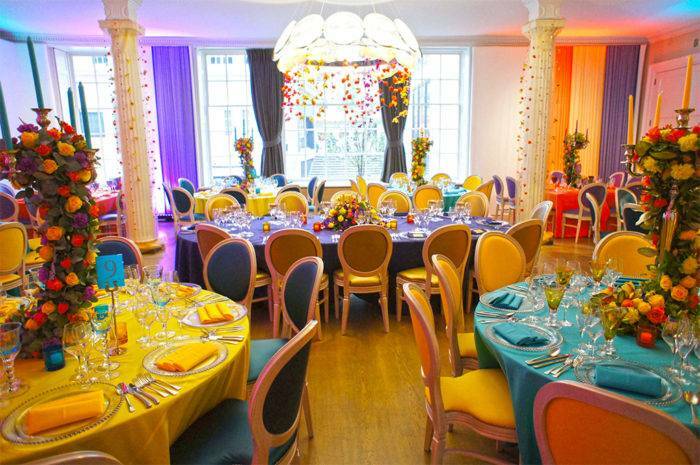 The drinks reception in the lobby introduced the colour pallet and the main dining room looked incredible. Additionally, the jazz inspired basement space with piano was impressive and very well received by all of the party guests. Overall, a very creative wedding party and a very different take on a traditional wedding event. A. Haze creates a real theatrical atmosphere. It moves lighting from 2D to being an all- encompassing experience. And it breaks up the venue space vertically. Perfect if you have a vast blank canvas venue. If you have flare bartenders, make sure you can supply 70cl bottles for use – not 1 litre bottles. They’ll need the smaller bottle size to wow your guests with their skilful mixology moves. If you’re having a marquee party in the grounds of your home, add LED up-lighting to the exterior of the house, changing the colour for example, from amber, when guests arrive, to purple when they’re departing for real visual impact and wow factor. Q. Finally, what’s your favourite classic cocktail? A. It has to be a classic French martini. All of the images shown on the Mirage Parties website and blog are from parties and events that have been planned and produced by Mirage Parties. Read more party tips and news.